When Keeper Peter Edwards unearthed a rusty bullet clip just off Kemnal Road, he was curious to find how old it was. He found the re-load clip, together with five empty cartridges, while clearing litter on the edge of the Common. They were rusty and dirty so it wasn’t immediately obvious whether they related to the war or were more recent in age. The items were passed on to ODAS (Orpington and District Archeological Society) who kindly agreed to do some further investigation on behalf of Chislehurst Commons. On closer inspection, Bryan Matthews, an ODAS volunteer, discovered that each cartridge is stamped with letters and numbers. This enabled him to determine that four of the cartridges were for standard .303 calibre rifles in use by the local Home Guard during World War II. The code 7 or VII on the headstamp indicates a standard “ball” missile with a cordite charge. One of the five cartridges also has the year 1941 stamped on it. 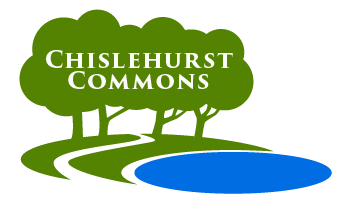 The presence of used ammunition in this location may be related to the existence of a rifle range on or near Chislehurst Common during the war. Its actual location is unknown to ODAS so they would be interested to hear from anyone with any knowledge of it.